G string is one of those mods that leaves a lasting impression after you play it. The world you are thrown into is so compelling and rich that at times I found myself just sort of standing there in an open street as the polluted acid rain slowly ate away at my health, just basking in this hopelessly depressing cyberpunk dystopia laid out before me. 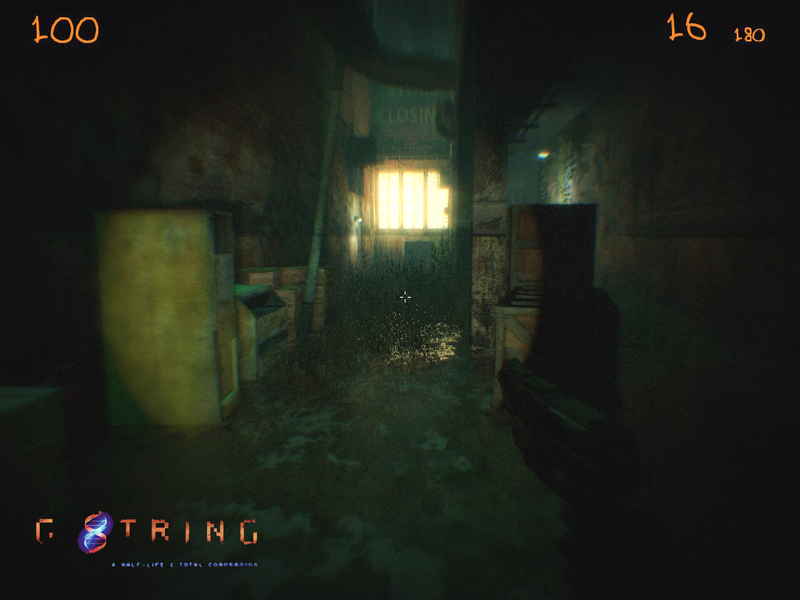 G string manages to take elements of cyberpunk from films such as Blade Runner and Ghost In The Shell and splice it with the feeling of abandonment and hopelessness I felt while playing Stalker : Shadow of Chernobyl. Together it is a very potent mix. I caught up with ‘Eyaura’, the developer of the mod to ask her some questions about its development both past, present and future. But before we get to that I highly recommend you watch the G String V2 “Day One” teaser to get yourself in the mood. Hello and welcome to LambdaGeneration. Could you tell us a bit about yourself and how you got into modding? Thank you for the opportunity to share my thoughts. dream, creating an entire world you can immerse yourself into. Making another reality basically. Tell us what made you start working on G String! It was a gradual process. I didn’t sit down one day and decided to make a mod. underdog guy trying to find a way out of a highly controlled dystopian city. and he was changed into a she. In the version of the mod I played a while ago now there was this incredible sense of hopelessness, that the Earth had simply given up and for the most part had been abandoned by humanity. What sources did you draw from to create the world of G String? a little exaggerated or is it? Look at Hong Kong now and 50 years ago. The mod is presented in a really interesting way. You use a letterbox aspect ratio similar to film with some very heavy post process effects such as vignetting, film grain and lens flares that really add to a grimy abandoned feeling. Why did you chose to include these effects and did they present any challenges when building the mod? a game. V1 fails at this being fairly interesting to look at but not very good gameplay wise. I am trying to correct it in V2. Tell us about the main character “Myo Hyori”. The fact that she is essentially owned by a corporation really helps set the tone of the world at the beginning of the mod. Well she was born in Busan, in the Koreas. (In the story South and North Korea will merge at some point and will simply be called the “the Koreas.”) Then a huge earthquake, worse than the 2011 Tohoku earthquake, ravages Asia. Busan, and many other Asian coastal metropolises go underwater. Many Asians, among them Myo’s family escape to the NAU (North American Union -ed). This is why so many Asians live in the NAU; because severe weather and earthquakes make Asia very inhospitable. I never named the city Myo’s fmaily moves to, I just refer to parts of the NAU as Fema Regions. Then eventually the government notices her special abilities and locks her and her family up in some kind of a medical bio-research lab. The rest will be told in the mod. Speaking about the world. How did you come up with the back story of G String? The North American Union was a great way to show players that the world really has gone to hell! Again, I took present day trends and extrapolated them. What if the weather worsens, what if many coastal cities end up underwater and we run out of oil. What if the we keep polluting the planet; overpopulation worsens and money dies. It already has died actually, it’s worthless paper at this point. Surveillance is everywhere already, the gap between rich and poor widens by the minute, so where will this lead? In many ways I feel G string is very optimistic actually. No comets wiping us out, no WW3 holocaust- at least I show a future where some people still exist. In the real world I doubt we will have the technology to run away to Mars or the Moon when we devour this planet. There is no escape; we are spiritually asleep, we have placed all our faith in materialism and gadgets. We play a high tech hedonistic game, a dangerous dead-end game. Correct me if I am wrong but I believe you have been working on G String all by yourself for a very long time now!? What keeps you going? Did you ever consider forming a team to create the mod? If so what stopped you? Well for the first five years I was all alone. For V2 I have help in coding and modelling for which I am very, very grateful. also the many testers are very helpful. But as far as mapping goes I am still 100% alone though. I wouldn’t know how to get anyone to help me. Everything is organized by me, only I know what’s what regarding the location and the name of the props, sounds and textures. It would be a nightmare trying to keep others up to date with this sort of thing. Plus I kind of have the story in my head- what weapon should be given when, which chapter has to tell what parts of the story. What dialogues and music should be played when and so no… this is something I must do alone even if it takes ages. How have you incorporated feedback from players of earlier versions of the mod into the current work in progress version? Can you give an example of something you thought was fine but players hated? Or perhaps something you thought was horrible but players loved? I am correcting a lot of things such as adding back the crosshair and subtitles. I am improving the quality of all the assets too. But the main thing people complained about was the path. They found it hard to progress. They got lost a lot so I am trying to fix that. I didn’t think anything was “fine” in V1. It’s more likely barely playable. I just released it to get feedback and because I wanted it “out there”. You never know the future and after five years of work you don’t want to lose the opportunity to share your results. Now that V1 is out there I feel less pressure to complete V2 and I can focus on making it as good as possible. Even if I fail, which I hope I won’t, but even then people already have V1 so it’s all good. I knew V1 was rushed. I thought the game looked dated too on the 2006 Source SDK engine but that wasn’t the main gripe of people. surprisingly many even liked the old gritty, washed out feel. But not the movie black bars. They hated that. That was something I didn’t expect such a negative reaction for… But I did get it. How do you go about designing a typical level in G String? Tell us about your level design process! Well this late in the design process I don’t have tremendous freedom. Each chapter and level has a very specific function in the mod. But if new ideas come I am ready to throw out whatever I intended when I started a map. Usually I make prefabs. Prefabricated industrial or residential geometry. And later on I glue them together and try to implement some kind of a flow/game-play. In G string V1 I kind of just built the geometry as one whole map and later on it was hard for me to make changes- to put in game-play and story related elements. Now I construct things bit by bit and more carefully. Also I try to make things vertical as much as possible; move the player up and down to keep it interesting. Reusing areas also fascinates me. At this point it is more important for me to make the environment “feel” realistic rather than actually build buildings that replicate real world buildings. I like what they did in Half Life 2 – taking real buildings then blocking parts and opening parts up to create a maze of sorts. Then there is the idea of multiple paths whenever possible. I think mappers refrain from this because if the player takes one path s/he will miss the other one and then all that great work will not be seen. Well that may be so but still I think it is a good thing to have choice. Choices to deal with a situation multiple ways is something that is missing in many games/mods. One more thing I try to keep in mind when making a level/chapter/mod is the patience of players. From what I have seen, in others and myself, is that the attention span/patience of players tends to be longer when a map/mod/chapter begins so I tend to cram most of the detail/story there. What is it like working with the Source SDK? What problems have you had and what things is the engine really good at? For the most part it is fun, especially Source SDK 2013. Of course there are difficulties but there are many tutorials out there. It is fairly easy to find help if you’re willing to do some research. The mere fact that we have access to a great game engine and can do basically whatever we want with it is amazing. So thanks to Valve. 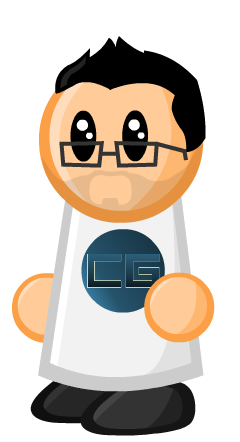 Finally, what advice would you give to someone who wants to start a mod in the source engine? What did you wish you had known when you first started out? I wish I had known more about actual game design. I had made the mistake of trying to “recreate” real world geometry inside a game engine and hope it will play well. It doesn’t. It may look good but it will get boring really fast. But I also think having areas where the atmosphere is the only thing carrying a game is not completely bad. But then the atmosphere has to be really rich. These kind of areas could be used for non-invasive story telling. My advice: be patient. You will need a lot of patience and time to make a mod. A lot. 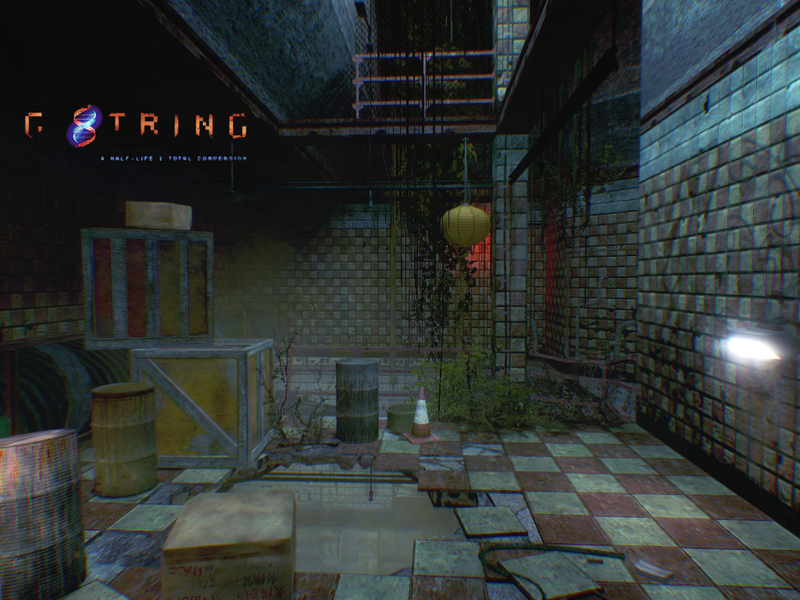 Eyaura is currently busy developing “V2” of G String using the new Source SDK 2013, no release date is currently set but you can check out some fantastic media over on the Moddb page for G String. Check out Eyaura’s Youtube page for more trailers and soundtrack videos. I've been crafting maps since I was 17 years old, I am now 31 :( Now I mostly talk about crafting maps on youtube. That’s such a fitting quote for the mod. Great interview! I always wanted to hear some behind-the-scenes info from her, what she has done is really incredible. I’m curious though, what do people think about the vision of the future presented in the game? Judging from that trailer and interview, the creator seems to have quite a bleak, pessimistic view of the future. Are there any opinions on this? Personally I adored it 🙂 It is indeed very depressing to play through and there are rarely any moments of hope to balance this out which I think actually helps the mood in a way. One of the great things about mods is that you are not beholden to anyone else, and I could see a publisher telling Eyaura to “put in some happy moments” for the casuals if this was a commercial venture. The vibe reminds me slightly of the film “Children of Men” (oh man go watch it if you haven’t already, it’s incredible). Very pessimistic and no hope. Great interview! This mod caught my eye a while ago, but I just never got around to installing it. I really want to try it out now. The setting looks very interesting and memorable. Great interview Daz. I think I will wait for V2 before trying this one out, looks fantastic.